The Listening Booth is where you'll find quick musical recommendations from Spiked Candy – just the tunes, no articles or reviews. It's a sort of microblog within the main blog. The posts don't show up in the main blog, so subscribe to The Listening Booth RSS feed ↗ or bookmark this page to keep up with new posts. Great cover of the Nancy & Frank Sinatra classic (minus the ick factor!) from this Israeli duo, recorded for Better Call Saul. Enter your email to be notified of new posts on Spiked Candy. Email address will never be shared and will only be used to send blog updates. 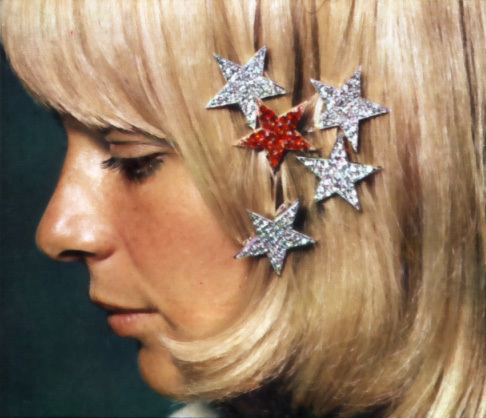 Click the image for all posts on France Gall dating back to 2005. Recent tribute posts can be found here. Search term must be at least 4 characters. Add * for wildcard search, e.g. search*. Use quotes for exact phrase match, e.g. "search term". Use the players embedded on this blog rather than listening on 8tracks.com (where the tracks are replaced with Youtube matches, which are often missing, inferior quality or wrong). Embedded players don't seem to be affected for now. If you still encounter issues, try a VPN, such as Zenmate browser extension. You can also try the alternate listening links if provided.